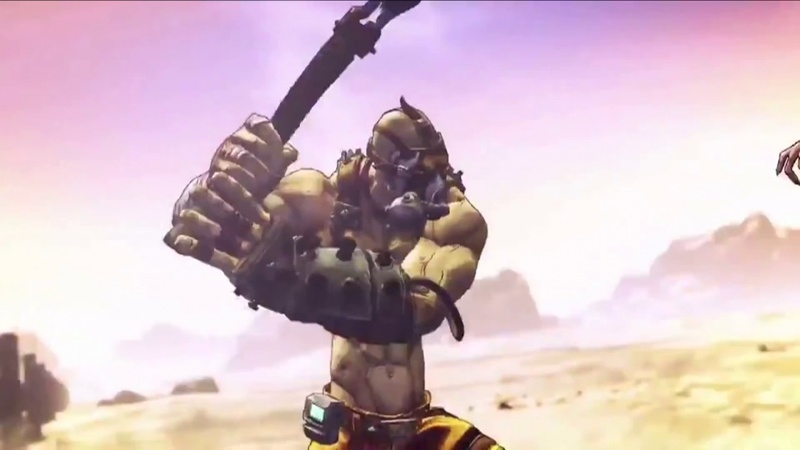 So finally, Borderlands gets a new-gen refresh. The Collection covers the rise and reign of Handsome Jack (so no original Borderlands, sadly), and includes all the previously-released DLC and the main games Borderlands 2 and The Pre-Sequel. That means the choice of six different characters and the option to explore any location immediately. Borderlands 2 offers four prime cuts of DLC goodness, each with its own flair and a lot of new content; looks for jungle hunts, pirate treasure hunts, Mad Max and fantasy parodies. They're great alternative additions to the main game, and there's also a lot of raid bosses and other nasties. Newcomers beware though: these additional missions usually have enemies of level 30 power or above. You're best clocking up a fair few hours in the main campaign before venturing into these. Veterans though can import their old-gen characters along with all their weapons, Badass points and game progress to new consoles. (Though, sadly, it only works between same family generations - no cross-format swopping from Xbox 360 to PS4 or PS3 to Xbox One.) If you want to copy multiple characters, the method is also a bit tedious - but you will be rewarded for the transfer with a huge chunk of Badass points and 50 golden keys for really shiny loot. Graphically, the game has been updated nicely. It runs in full HD and at 60FPS, which really makes for a much smoother game experience. The anti-aliasing works wonders, so that it makes a much better overall impression - even if some textures look pixelated when nearby. There's still the issue of textures loading late though. .
A special highlight for the Collection is the four-player split-screen mode on console, which together with the HD upgrade makes for a great game experience. Finding rare loot becomes an addiction between blowing holes in enemies, and your primary interest even beyond the absurd missions and pop culture references. The partially randomised stuff is available in millions of variations and combinations, all with many nuances through their additional status buffs. Nicely? The game's fun when going solo as well. For newcomers today, however, it's a similar problem as with Star Wars: which part to begin with. The Pre-Sequel, playing on the small moon Elpis and the space station, initially provides a better foundation in understanding the game mechanics, and from a chronologic perspective, it makes more sense to start here. But it is less varied and not quite as charming as the future spaghetti western of Borderlands 2. Whatever you do, the collection is bursting with content, the value massive. It's a shame the games weren't pulled together, so you could skip between the two when you liked. But a complete interchangeability of the characters would have meant a lot of extra work, and we can understand why this just wasn't an option. Less so is the lack of the original Borderlands, which would have made this package an absolute dream for fans.